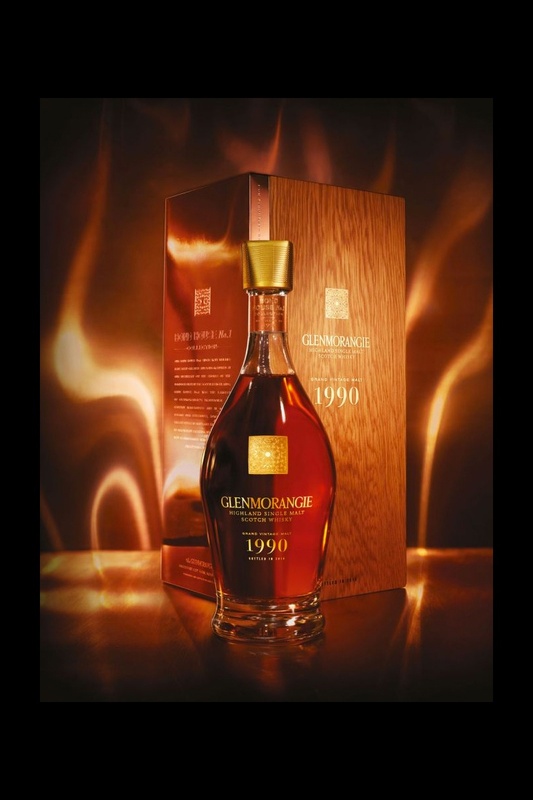 It's the first release from Glenmorangie's Bond House No.1 Collection - a 1990 vintage single malt aged in ex-bourbon casks and a small portion of ex-Sherry casks. In his Whisky Bible 2017, Jim Murray gave this a massive 94 points and a Liquid Gold Award. Nose: The aroma is a veritable cornucopia of heady floral and fruity notes; heather honey, honeysuckle and freesia mingle with orange blossom, candied fruits, mandarin, pear and apple. This complex bouquet is supplemented by a distinctive note of beeswax. Palate: The mouthfeel is silky, creamy and mouth coating, delightfully mellow and gentle. This leads into succulent, sweet flavours of orange syrup, puff candy, honeycomb, vanilla, and some zesty, herbal top notes of gooseberry and menthol. Finish: The fruitiness continues with baked apples and pears, then there are some deeper notes of brown-sugar, malty/biscuit flavours and the gentlest hint of clove and oak tannin on the finish.